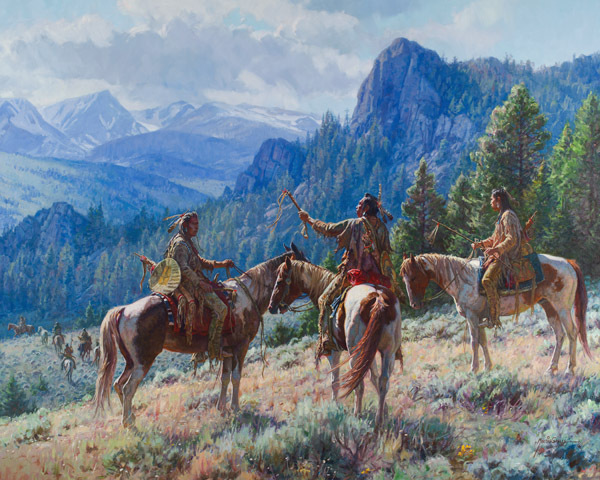 Three braves gaze out across a vast, mountainous landscape. Others of the tribe are crossing the valley below. Perhaps, these braves are planning a hunt for food, or seeking new territory for their tribe. As one of them scans the rugged terrain, the others listen intently to his strategies.